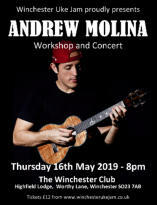 The Winchester Uke Jam meets at The Winchester Club and all are welcome, regardless of ability. You don’t have to be a uke player to join in. 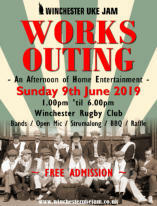 We welcome any stringed instrument or if you fancy playing a bit of percussion, having a sing or just want to listen then come along... and if you’re visiting Winchester and you’re looking for a night out, you’d be more than welcome to stop by. 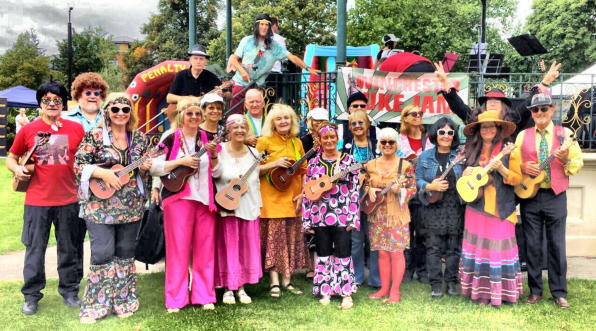 If you would like to join The Winchester Uke Jam email list then please click here. You won’t get any rubbish, only info about WUJ, gigs, set lists etc. and you can unsubscribe at any time. CURRENT GIG LIST NOTE: For some gigs we are limited in numbers so it’s useful to get an idea of how many are going to come along. If you are able to participate then click on the relevant ‘I’ll Be There’ button and follow the link to Doodle. Fill in your name, tick the relevant box and save - it’s easy. If you can’t see a button next to the gig then it means there are no limits to numbers and all are welcome - just turn up! This year our chosen charity is Winchester Hospice. ‘A hospice is a place that offers specialist palliative care for inpatients and support for their families when they need it, but it is also a hub for a range of community services so that people can choose to stay at home if they prefer, in less pain and with more emotional support. That is why we, Hampshire Hospitals NHS Foundation Trust, have developed this compelling vision and ambitious plan to create a palliative care specialist facility in Winchester. We want to create a facility that our community will benefit from and which we are proud of. 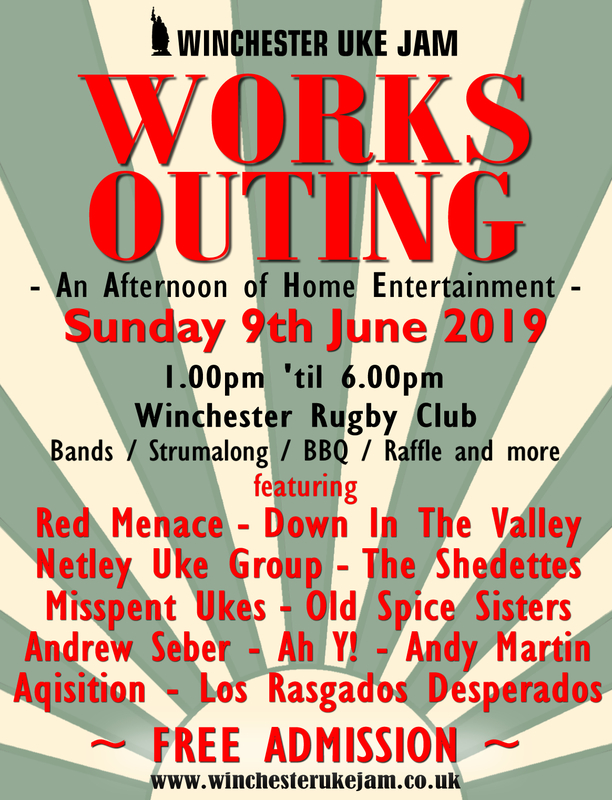 Sunday 9th June 2019 - Winchester Uke Jam - WORKS OUTING Place: Winchester Rugby Club, North Walls Park (Off Nuns Road), Winchester, SO23 7EF Time: 1.00pm Free admission. ‘Like the Uke Jam but longer and in a tent’ An afternoon of home entertainment. Bring the whole family. Open Mic, Strumalong, BBQ and a raffle. Get the band together or do a solo spot. Apply to play here.